30% of San Francisco's Homeless are LGBTQs. Be part of the solution. Help prevent & end homelessness today by becoming a QBuilder monthly donor. Every brick matters in building a strong home. Every dollar counts in making this possible. The Q Foundation believes in a world where all people have a safe, decent, and affordable home. Toward this vision, we prevent homelessness primarily for LGBTQ and HIV communities by protecting the housing they already have, providing resources to secure new housing, and promoting public policy to increase opportunity for all. 30% of the City's population of people experiencing homelessness come from the LGBTQ communities. According to the San Francisco Board of Supervisor's Comprehensive HIV/AIDS Housing Plan, there are up to 2,500 homeless people with HIV/AIDS in San Francisco and 13,000 with an unmet housing need. We are disproportionately impacted by homelessness. 14% of people with HIV/AIDS are homeless at any given time. The National AIDS Housing Coalition reports that up to 60% of people with HIV/AIDS will experience housing instability at least once during the course of their illness. Those who lose their housing are 5 times as likely to perish and are much higher users of expensive emergency care. 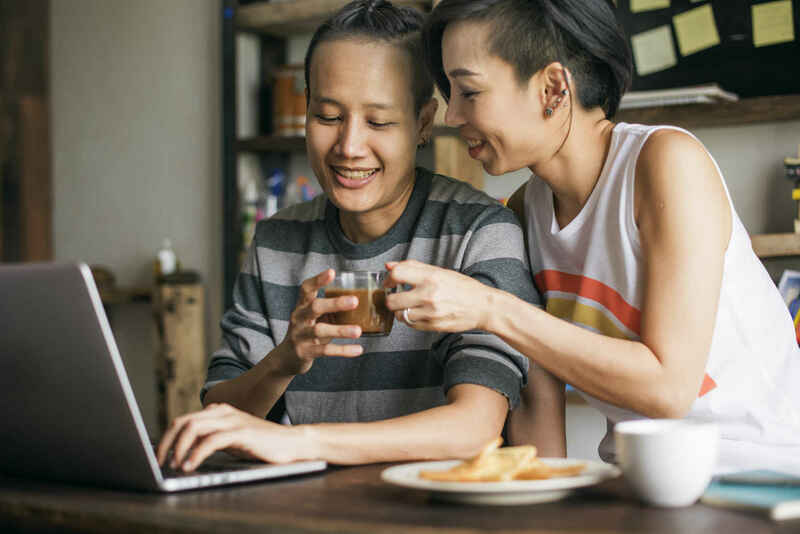 The provision of housing assistance leads to a 50% reduction in behavior that can lead to viral transmission making housing resources one of the most cost-effective HIV prevention tools available. It is in this context that AIDS Housing Alliance/SF was born which evolved to The Q Foundation today. We are a strong, independent and authentic voice for the needs of the LGBTQ and HIV/AIDS communities, founded and run by disabled people with HIV/AIDS. HOW FAR CAN YOUR DONATIONS GO? Brick Builders ($5/month) allow our housing advocates to travel to our clients for friendly home visits for seniors and disabled residents. Get a Q Foundation mug for signing up as a recurring donor for 12 months. Mortar Builders ($25/month) help cover costs to provide awareness and education on housing opportunities and advocacies to protect housing for all LGBTQ+s and our seniors and disabled fellows. Get a Q Foundation mug and shirt for signing up as a recurring donor for 12 months. Door Builders ($50/month) ensure we have a growing fund to prevent eviction. Get a Q Foundation mug, shirt and hat or tote for signing up as a recurring donor for 12 months. Roof Builders ($100/month) ensure we have a growing fund for providing move in deposit assistance to secure new housing. Get a Q Foundation mug, shirt, hat or tote and 2 tickets to our Annual Q Gala for signing up as a recurring donor for 12 months. Foundation Builders ($250/month) provide housing subsidies to our LGBTQ seniors and disabled fellows which help them keep their housing. 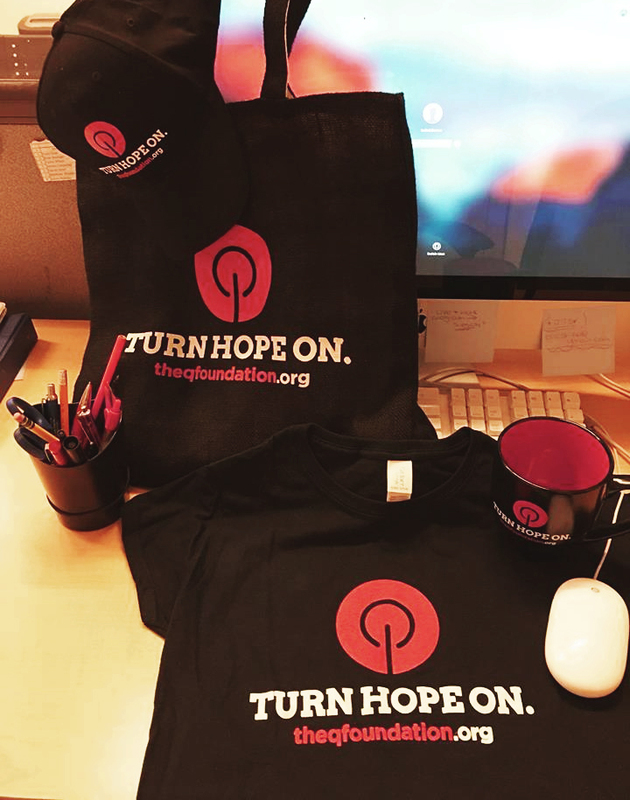 Get a Q Foundation mug, shirt, hat or tote and 4 VIP tickets to our Annual Q Gala for signing up as a recurring donor for 12 months. Originally from Los Angeles, Andrea got her first apartment in San Francisco in 1979. 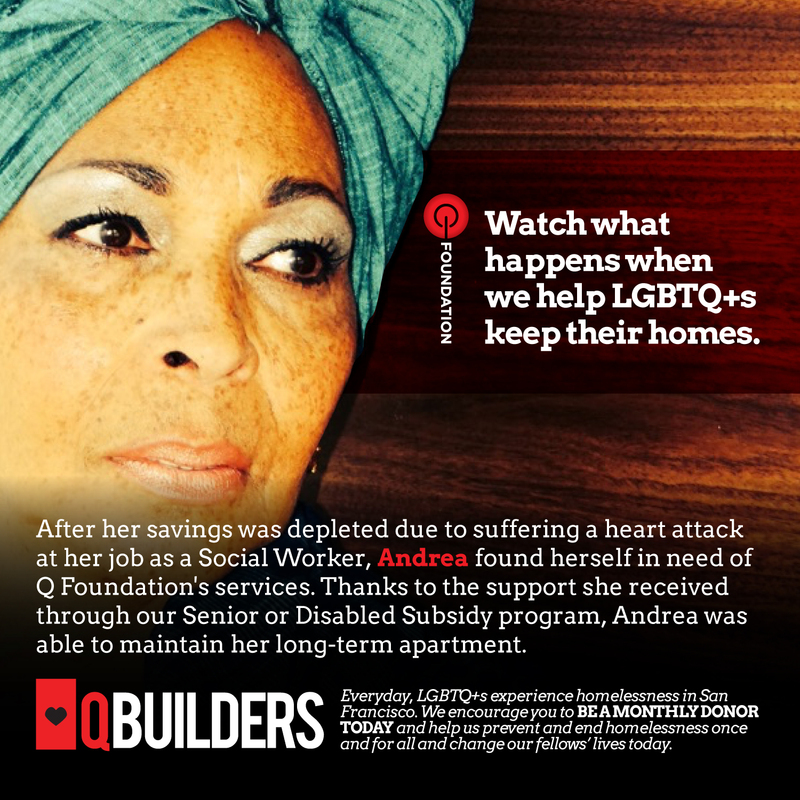 After her savings was depleted due to suffering a heart attack at her job as a Social Worker, Andrea found herself in need of Q Foundation's services. Thanks to the support she received through our Senior or Disabled Subsidy program, Andrea was able to maintain her long-term apartment. She is now able to volunteer with LBGTQ-related non-profits in the Bay Area and enjoys giving back to the community with her pomeranian Eartha Kitt. When not being a hero, she performs as a jazz singer at local venues in San Francisco. 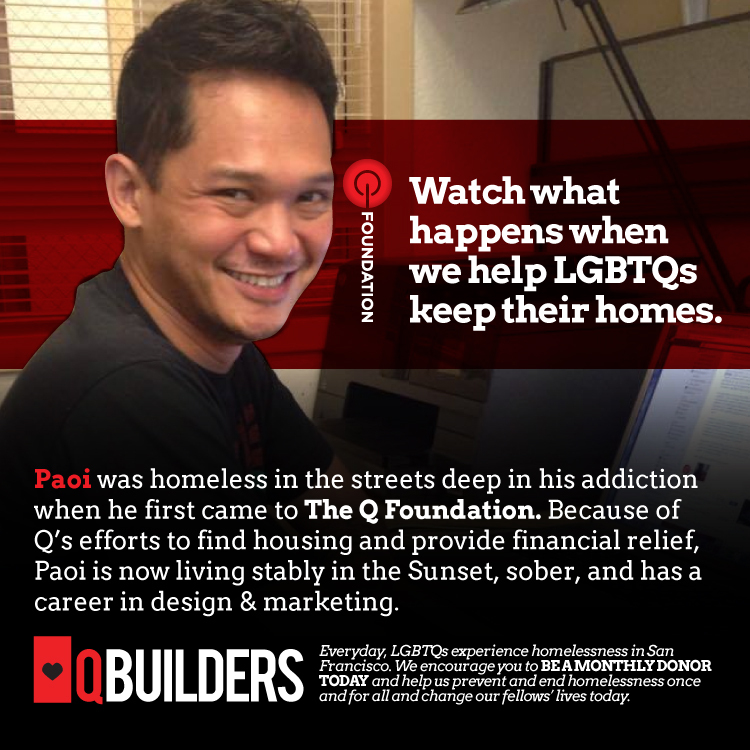 Paoi moved to San Francisco from Los Angeles homeless and HIV+ as a result of his addiction. With Q Foundation's housing resources and financial support, Paoi has been able to redeem himself through the years. Today, he is a successful graphic designer for multiple non-profit organizations in San Francisco, sober from drugs and alcohol, and has been living stably in the TenderNob with his cat and his husband. In his spare time, he enjoys volunteering for LGBTQ+ & recovery community advocacies and performing in drag or live music. I am donating some bricks in memory of Jonathan Clark and in honor of his surviving life partner Lupe Martinez.